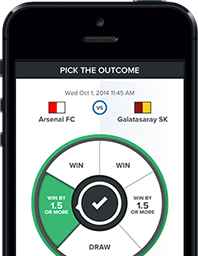 Betting your mates couldn't be easier! 3 Simple steps and you're in business. 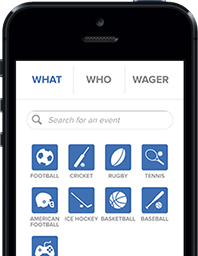 There are 2 types of bets, if it’s the outcome of a major sporting event you want start an Event Bet and we will settle up the bet automatically when the event is over. 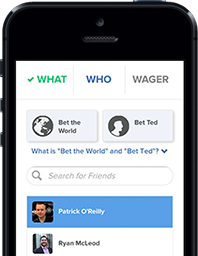 If it’s something unique or a private event between friends start a Custom Bet, simply type in what the bet is and send the challenge. See more on Event or Custom betting in our FAQ’s. Who do you want to wager? Once the event is selected pick your mate to challenge. Don’t have any mates in Tedbets yet? No problem, you can send the invite through SMS, email or send the bet through your social network and see who’s up to the challenge. 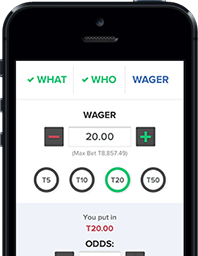 Here’s where you decide how sure you are that you are right and set the wager. You can set the amount of the bet and change the odds. If your opponent doesn’t like it they can always counter. Set up your Tedbets account in just a few minutes and place your first bet today!